The National Ploughing Association (NPA) and Bank of Ireland recently launched a promotional brochure giving details of the upcoming 82nd National Ploughing Championships taking place from 24-26 September in Ratheniska, Stradbally, Co Laois. 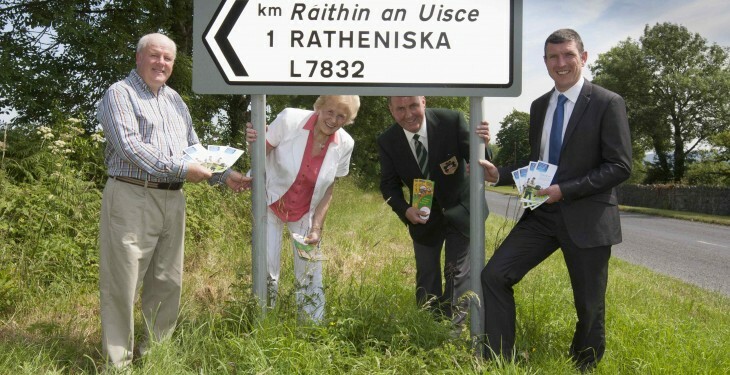 Ireland’s largest outdoor event is making a long overdue return visit to the area for the first time in 70 years, since the championships took place in Lamberton, Ratheniska in 1943. Also present were host farmers David and Clive Carter, Anna May McHugh and NPA Chairman James Sutton. This year will see an array of new and exciting exhibitor’s as well as hundreds of veteran companies showcasing their products and services. In the machinery section for the first time it has Lucas G SAS, travelling from France to showcase their feeders, straw bedders and diet feeders. All of the agri sectors will be well represented and a number of product launches are at the planning stage. Leader Village will again be presenting entrepreneurs, businesses and a variety of groups supported by Leader, exhibiting a fantastic diversity of products and services all under one roof. Laois County Council will be showcasing the best of the economic, social and cultural services that Laois has to offer. Already the Food area looks like it will be extended this year with Good Food Ireland, Bord Bia and an array of artisan food producers showcasing their wares. The Forestry Village will feature the Husqvarna Pole Climbing, Advisory Authorities and many of the services associated with this sector. A number of new and exciting initiatives in the agricultural machinery sector are at the planning stage and will add an interesting dimension to the arena which will see the welcome return to our innovations arena also. Follow AgriLand for all the updates and check out its site The National Ploughing Association. 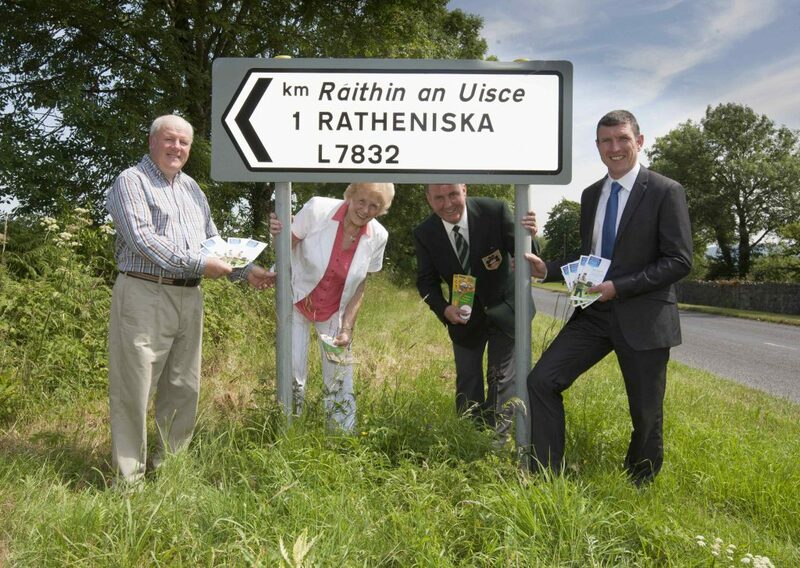 Pictured: Launching the brochure for the 82nd National Ploughing Championships to be held at Ratheniska, Co Laois 24th – 25th – 26th September. From left: David Carter, land owner; Anna May McHugh, NPA MD; James Sutton, NPA chairman and Sean Farrell, Head of Agriculture, Bank of Ireland. AgriLand 82nd National Ploughing Championships online news platform available here.